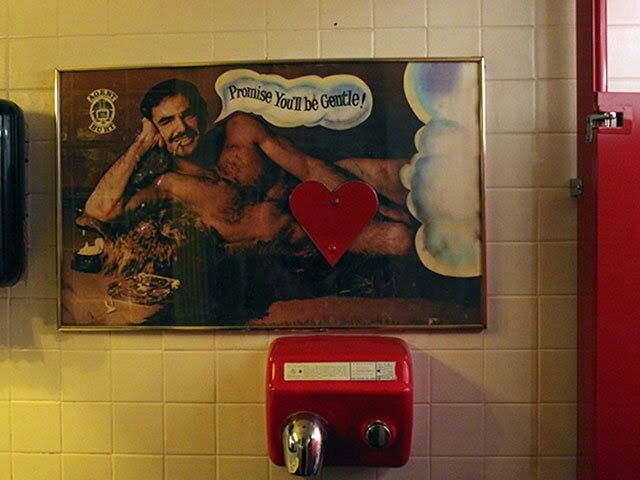 THERE'S a restaurant and bar in America's Milwaukee whose ladies' room features a large picture of a reclining and starkly naked Burt Reynolds, with no more than a small red cardboard-cut-out heart over his, ah, more personal parts. But pity any poor visiting patron who is not in the know – for if they touch that little heart for maybe a naughty peek, a siren blasts out across the restaurant outside so that as they leave to return to their table, they'll be greeted raucously by other patrons to be left red-faced for the remainder of the night. Established 52 years ago, The SafeHouse as it is called is themed around international spying and espionage, including its very location being down a dimly-lit riverside alleyway, and the name over the door not mentioning being a restaurant or bar, but the alias International Exports Ltd.
And to get in you have to give a secret password, with a bit of prompting from Miss Moneypenny if you've no idea what it is, while inside dim-lit passageways lead to dining and drinking areas almost straight out of Hollywood, a Newsroom Pub and an Interpol Bar, and a Cloak and Dagger Room in which to leave your coat. There's also a collection of gadgetry from many of the James Bond films, an authentic piece of the Berlin Wall in a glass case, and a mass of fascinating espionage paraphernalia. David Baldwin who dubbed himself Agent OH-OH-Seven opened The SafeHouse in 1966, sold out to a fellow Milwaukee businessman in 2015, and died just three months later. The SafeHouse is well worth a visit for a meal, a drink and a look around – but ladies remember, if you need to go to the washroom, and you are a little inquisitive about Agent Burt (as his picture is titled,) you have been warned.